My First post using Windows Live Writer! 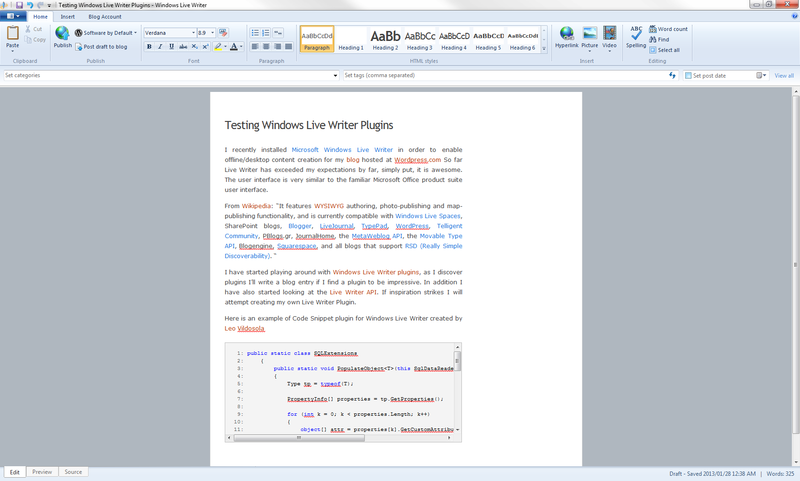 I’ve installed and configured Windows Live Writer. The initial configuration to My WordPress Blog was really effortless and without incident. I created this post using the Live Writer Desktop application, so far so good. Browser based WYSIWYG (Wikipedia) have certainly improved vastly, but I still prefer the ease and control of a desktop based word editor. WordPress.com owner Automattic aquires Simplenote.